For all the brilliance shown on the field by the two teams in Melbourne, the Boxing Day Test between Australia and India will always be remembered as the fixture which witnessed one of the most hilarious banters in recent history. While there was a lot of action going on with bat and ball, equal, if not more, action was going on using the words. And at the heart of it all were Aussie skipper Tim Paine and Indian wicket-keeper Rishabh Pant. The banter was instigated by Paine, who also earlier in the series got involved with Indian skipper Virat Kohli. He, while standing behind the stumps during India's second innings, had a bit of fun with Pant, asking him if he'd 'babysit' and join Hobart Hurricanes following MS Dhoni's return and his exclusion from India's ODI squad. While Pant kept quiet then, he gave it back to Paine when the Aussie skipper was batting in the final innings. The Indian wicket-keeper gave the Aussie a taste of his own medicine, mocking him by calling a 'temporary captain' who only does 'talking'. But now, in a turn of event which is far more hilarious that the actual incident, Tim Paine's wife Bonnie Maggs has joined in the banter, and instead of taking his husband's side, she chose to go with the Indian wicket-keeper. 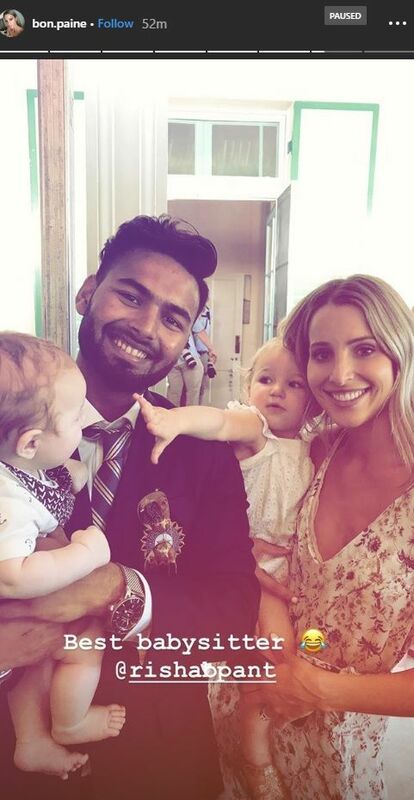 On Instagram, Bonnie posted a photo with Rishabh Pant, wherein they could be seen holding two kids. She hit the nail with her caption, which read 'Best Babysitter'. 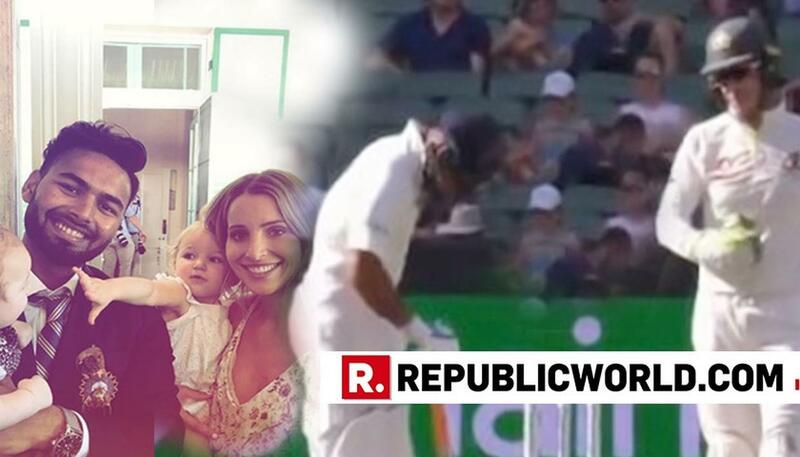 In reference to the inclusion of MS Dhoni in India's ODI squad, which saw Pant being dropped, Paine took the opportunity to have a go at the batsman during India's second innings of the Boxing Day Test. But Pant did not hold himself back, and roasted the Aussie when he was batting. He made some hilarious remarks on the Australian skipper while speaking to Mayank Agarwal.